When you make a great discovery, you’re excited about sharing it with others. While supporting and attending the ALI Strategic Internal Branding Conference last month, I discovered the Bonfyre app. This “new approach to driving engagement and aligning cultures” was a fun, interactive, real-time way for us to capture and share the latest news, photos and videos from our internal branding learning adventure. Peggy L. Bieniek, ABC: What inspired the website redesign? Mark Sharp: As our business has rapidly evolved over the past three years from strictly an event app company to an event-to-enterprise social communications platform, we understood that our website needed to reflect this key strategic transformation in our business….and frankly, one that continues to emerge in the marketplace today and in the foreseeable future. PB: How is the new site different from the previous site? MS: The previous web site design catered almost exclusively to prospective customers looking for an event app to use at their upcoming event(s). 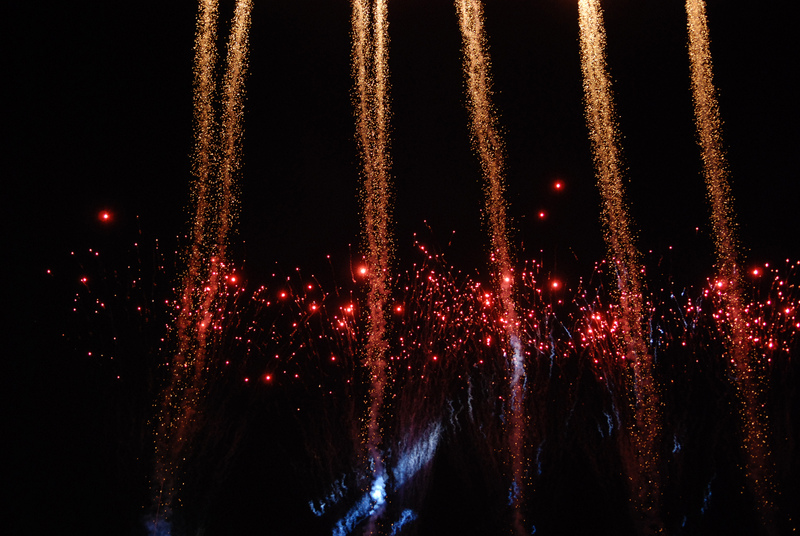 Yes, events remain a key and foundational component of our business…and always will. However, the most apparent differentiation between the previous site and new site is the graphic user interface design and refined logo treatment. More importantly, the new site features six key strategic areas of business focus (i.e., Company Meetings & Events, Internal Communications, Team Building, Company Culture, Employee Recognition and HR Business Intelligence) for which Bonfyre can deliver impressive results in the creation and enrichment of employee engagement. PB: What are the key features and benefits of the new site? MS: Through subtle use of animation, the “How it Works” section details Bonfyre features and functionalities specific to business use. So, whether you are interested in partnering with Bonfyre as the official event app for your Company Meetings & Events, delivering Internal Communications across a multitude of remote office locations or launching a campaign to change company culture, prospective customers are able to clearly see how Bonfyre can be leveraged to quickly deliver solutions for a host of business hurdles. 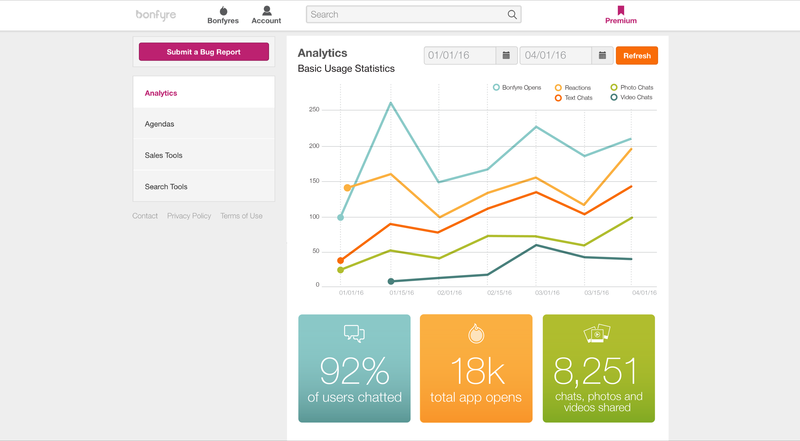 PB: What user feedback have you received about the new site? MS: The response from current clients, strategic partners and board members has been very complimentary! 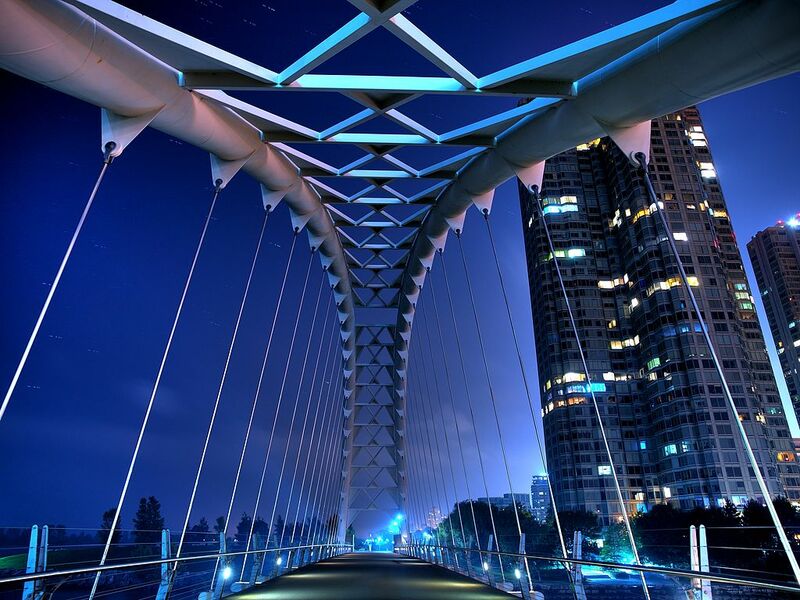 People grasp very quickly the new strategic vision Bonfyre is pursuing and how our products and services help to fulfill on the promises made. Although web analytics and performance data for our website are confidential, it is safe to say that we are seeing improved results for visits, unique visits, page views, time spent on site, bounce rates, etc. PB: How does your site tell the story of your business and the Bonfyre app? MS: Partnering with Bonfyre for Company Meetings & Events creates “the spark” that companies need to cultivate palpable, ongoing employee engagement and an enviable culture of personal empowerment…where leadership and employees share and exchange ideas, solutions, best practices, encouragement and team victories! This is achieved by harnessing the power of Bonfyre for Internal Communication, Team Building, Company Culture and Employee Recognition initiatives. And the best part? Bonfyre is able to deliver real-time HR business intelligence and insights into what is working and what is not when it comes to driving the needle on employee engagement. 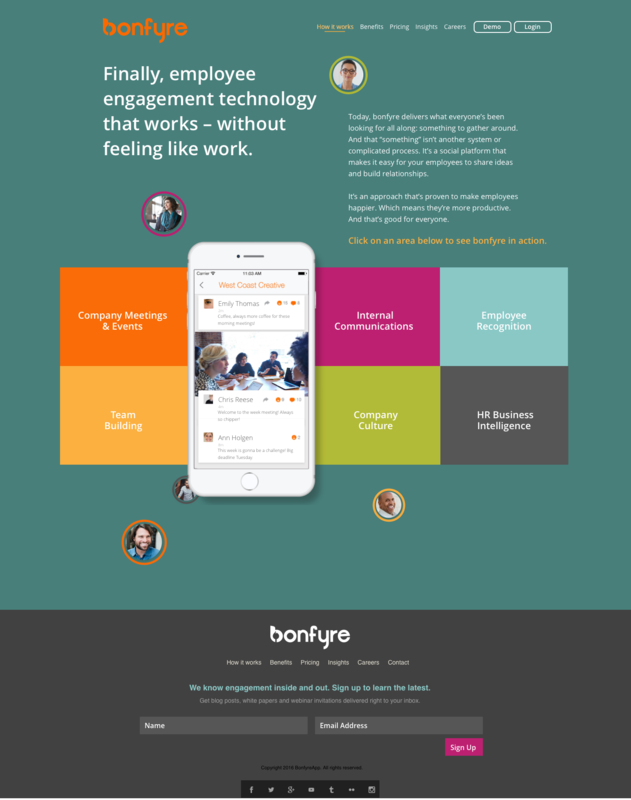 PB: How does Bonfyre support employee engagement? MS: Bonfyre not only supports employee engagement, but creates employee engagement! As a senior business executive searching for something that will motivate employees across the company to take ownership, build camaraderie, transform culture, build bridges and forge innovation, Bonfyre delivers the desired results! 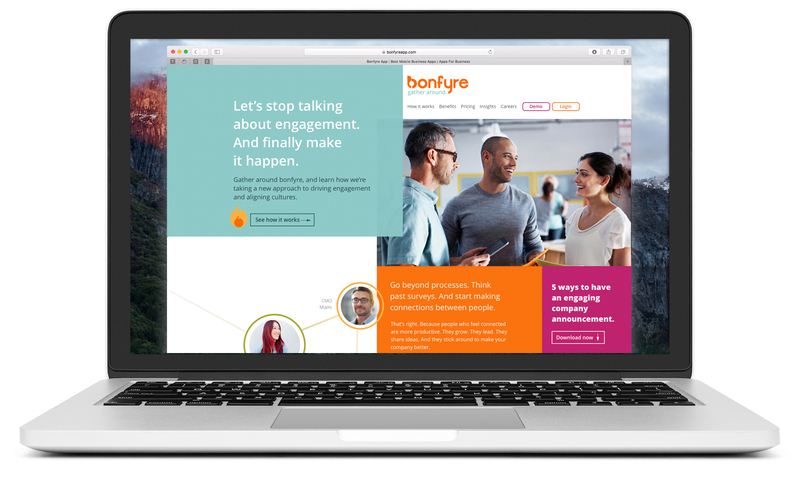 Beautifully simple in design and intuition, Bonfyre is being downloaded and embraced by 70+% of event guests in 2016. And as past trends indicate, these guests continue to seize the energy and solidarity that Bonfyre creates long after the event has concluded and carry the burning flame of engagement back to their companies…transforming communication, team building, culture and recognition. Categories: ALI 2016 Strategic Internal Branding, Employee Engagement, Internal Communication | Tags: #ALI_IntBranding, Advanced Learning Institute, Bonfyre App, Chris Dornfeld, company culture, Company Meetings & Events, Cultural Alignment, Employee engagement, employee recognition, HR Business Intelligence, Internal Communications, Jake Bernstein, Mark Sharp, Strategic Internal Branding Conference, Team Building | Permalink. I thoroughly enjoyed being a part of the Total Customer Experience Leaders Summit (TCEL) last week! 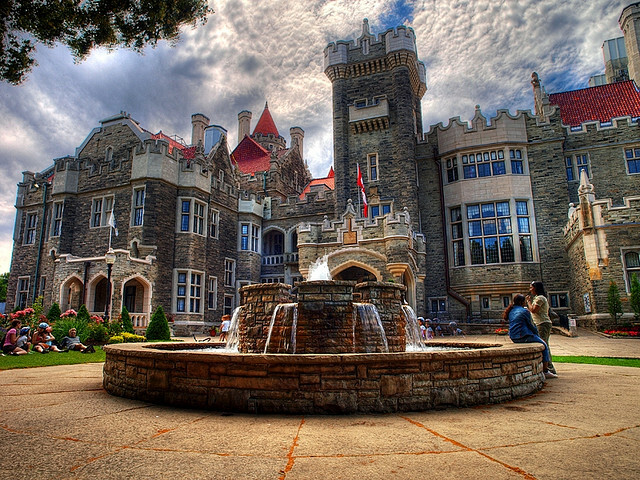 I met some great people and learned more about creating an effective customer story. Stay tuned for additional TCEL highlights this month. Thank you for continuing to follow these updates and sharing your experiences and ideas! What are some good conferences you’ve attended recently? Categories: Customer Service, Employee Engagement, Marketing, Storytelling, Total Customer Experience Leaders Summit 2014 | Tags: Customer Engagement, Customer Experience, Customer-centric organization, employee recognition, Leadership, Paul Bica, Total Customer Experience Leaders Summit | Permalink. According to Total Customer Experience Leaders Summit (TCEL) session speaker Janet LeBlanc, “Customer-centric companies know how important it is to reward and recognize their employees.” Creating a relevant story with the employee at the center of the recognition goes a long way to unlock higher performance and engagement. A story that lacks a unique perspective will create the opposite effect as described in “How to Ruin an Employee’s Big Moment” by Jeff Haden. Great recognition uses great storytelling as its foundation. Learn how to effectively recognize your employees in “Transforming Company Culture through Storytelling” by Darcy Jacobsen. How are you using stories to recognize your employees and strengthen your organizational culture? Categories: Employee Engagement, Internal Communication, Storytelling, Total Customer Experience Leaders Summit 2014 | Tags: company culture, Darcy Jacobsen, employee recognition, Paul Bica, Storytelling | Permalink.